Morehead City, the largest community on the Crystal Coast, offers many common conveniences, with a twist of local flair and charm. Enjoy the many shops, great restaurants and live entertainment, or hang out by the docks to see the catch of the day! 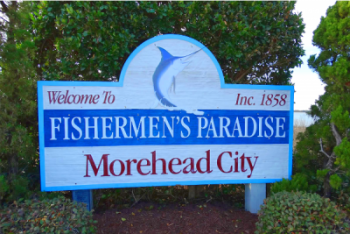 Morehead City also has numerous events throughout the year, including the NC Seafood Festival and the Big Rock Blue Marlin Tournament. There is plenty to do in this sea-side town! The Town of Beaufort’s vision is to foster a scenic and welcoming coastal community that enhances the well-being and prosperity of our citizens, celebrates our diverse culture and heritage, and preserves our natural and historic resources. Whether you are a long-time resident, a new property owner, or a visitor, all can appreciate that Beaufort is a special place in which to live, work, or shop.